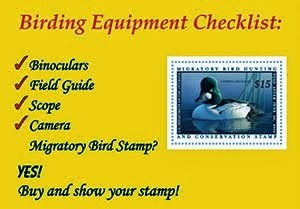 For sparrow identification there are many aspects that we have to consider. There are five species of sparrows that include Savannah, Vesper, Fox, Song, and Lincoln's that look similar, at least superficially. 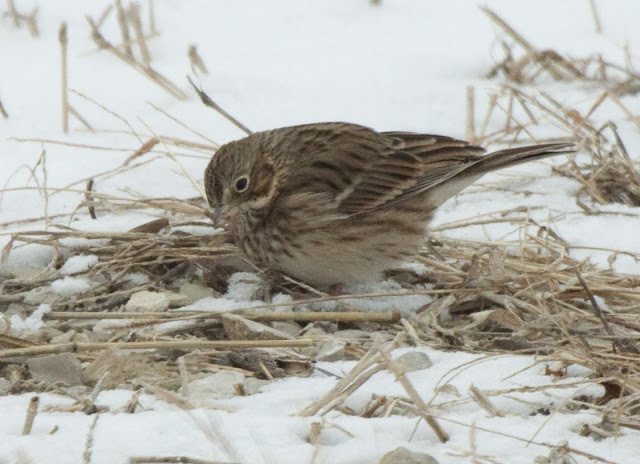 In this post I will use Song Sparrow as the baseline and compare species to it. In the next post I will talk about Fox and Lincoln's Sparrows and compare them to the baseline of Song Sparrow as well. 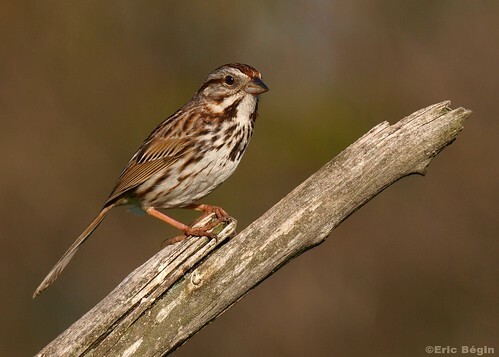 One thing to consider about Savannah and Song Sparrows is that they are extremely variable from coast to coast. A bird on the east coast has a much different plumage than a bird on the west coast, so I will point out features that don't change and will be good generalities in identification. If I were to explain all of the plumage characteristics I don't think anyone would make it through this (including me). But, I would suggest, you take a look at the version that is in your area so you have a good idea of the overall coloration etc. The great thing about Song Sparrows is their long, rounded tail making them easily identifiable if you pay attention to shape. 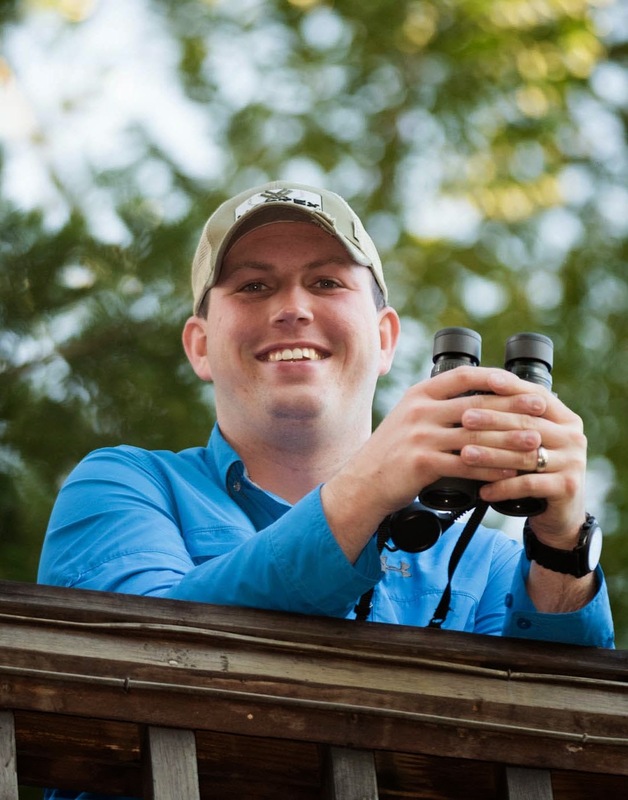 You may not think this will be that noticeable in the field but as soon as you start paying attention to it you will notice that it makes a huge difference in the overall appearance of the bird. The bill shape of Savannah tends towards being thinner and more fine but is variable so is not always a great field mark. However, the bill color is usually a good field mark, Savannah have a pinkish lower mandible with a grayer upper mandible. Song have a dark upper mandible with a grayish lower mandible. This is not too variable except that some juvenile Song Sparrows can have a pink-based bill but it is usually much darker overall. Some plumage differences include the streaking on the chest and flanks, coloration of the lores, and the face coloration. All Savannah Sparrows (with few exceptional individuals) will show much finer streaking on the chest. Compare the photos below and it will be quite obvious that Song Sparrows have thicker streaking which gives an overall different impression. For most subspecies of Savannah and Song the coloration of the lores can be helpful. Savannah have yellow lores while Song have while lores. Juvenile Song Sparrows can show yellowish lores but the rest of the bird doesn't match up to a Savannah. Some Savannah can also show white lores but the subspecies of Savannah Sparrows that show this have limited ranges. The overall face coloration can also be helpful in identification. The Song usually shows a gray face while the Savannah shows a much browner face. Notice the long tail compared to the other two species. Luckily for us birders, the Vesper Sparrow is no where near as variable as the other two species discussed. As with the last comparison, the long, rounded tail of the Song is very distinct from the short tail of the Vesper. The Vesper Sparrow tends to be shaped more like a Song Sparrow in general though; it's a plumper bird just as the Song Sparrow tends to be. Also, Vesper Sparrows have practically no primary extension (the extenion of the primaries past the tertials) while Song Sparrows have short primary projection but it is noticeable in the Song Sparrow. 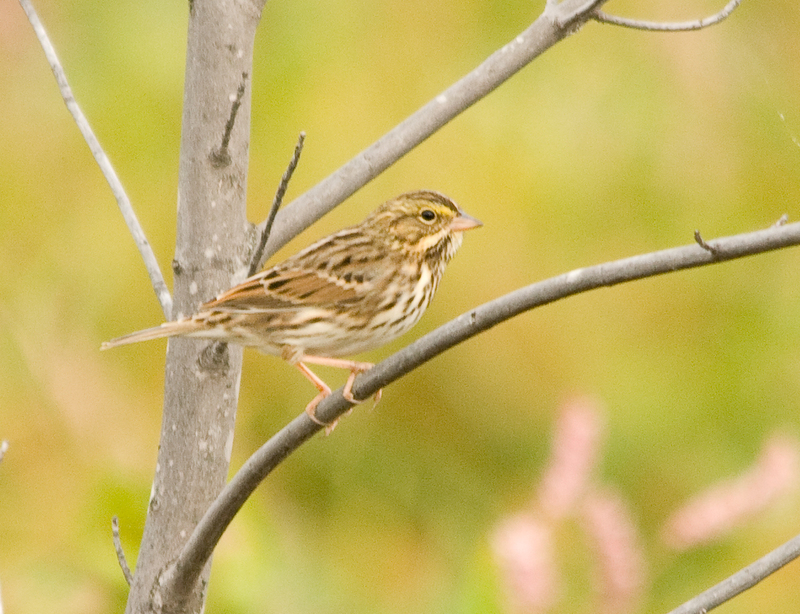 There are many plumage characteristics that separate Vesper from Song Sparrows. One of the most noticeable is the white outer tail feather (R5, the 2nd outermost feather, has a white tip). The white outertails are very noticeable in flight. The bold, white eyering is also noticeable in most situations. The overall face pattern is distinct; the white "u" that outlines the auriculars is unmatched by the Song Sparrow. The streaking is finer (slightly bolder on average than Savannah) than Song Sparrow. Vespers also have rufous lesser coverts (shoulder) but in most instances this isn't visible so in general is not a good field mark to look for. The next sparrow id article will be coming soon!